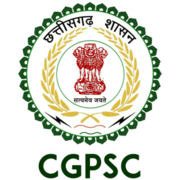 CGPSC Chhattisgarh State Service Exam 2018 - Apply Online for 160 Accounts Officer, Excise Sub Inspector & Other Posts in Chhattisgarh. Online Applications are invited by Chhattisgarh Public Service Commission, Raipur from 07 Dec 2018 12:00 PM to 05 Jan 2019 11:59 PM for 160 vacancies. CGPSC State Service Exam Interview Schedule 2018: Chhattisgarh Public Service Commission, Raipur has announced the Exam Interview Schedule of State Service. On the basis of Written Examination/ Interview. Eligible candidates may apply online at CGPSC's website (direct link is given below) from 07 Dec 2018 at 12:00 PM to 05 Jan 2019 till 11:59 PM.